In this chapter things are working, though slowly, towards Joseph's advancement. I. Two of Pharaoh's servants are committed to prison, and there to Joseph's care, and so become witnesses of his extraordinary conduct, ver. 1-4. II. They dreamed each of them a dream, which Joseph interpreted (ver. 5-19), and the event verified the interpretation (ver. 20-22), and so they became witnesses of his extraordinary skill. III. Joseph recommends his case to one of them, whose preferment he foresaw (ver. 14, 15), but in vain, ver. 23. 5 And they dreamed a dream both of them, each man his dream in one night, each man according to the interpretation of his dream, the butler and the baker of the king of Egypt, which were bound in the prison. 6 And Joseph came in unto them in the morning, and looked upon them, and, behold, they were sad. 7 And he asked Pharaoh's officers that were with him in the ward of his lord's house, saying, Wherefore look ye so sadly to day? 8 And they said unto him, We have dreamed a dream, and there is no interpreter of it. And Joseph said unto them, Do not interpretations belong to God? tell me them, I pray you. 9 And the chief butler told his dream to Joseph, and said to him, In my dream, behold, a vine was before me; 10 And in the vine were three branches: and it was as though it budded, and her blossoms shot forth; and the clusters thereof brought forth ripe grapes: 11 And Pharaoh's cup was in my hand: and I took the grapes, and 225 pressed them into Pharaoh's cup, and I gave the cup into Pharaoh's hand. 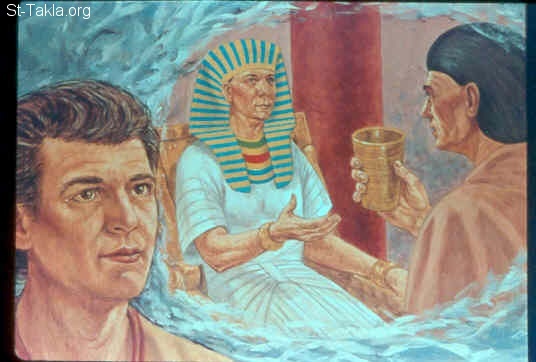 12 And Joseph said unto him, This is the interpretation of it: The three branches are three days: 13 Yet within three days shall Pharaoh lift up thine head, and restore thee unto thy place: and thou shalt deliver Pharaoh's cup into his hand, after the former manner when thou wast his butler. 14 But think on me when it shall be well with thee, and show kindness, I pray thee, unto me, and make mention of me unto Pharaoh, and bring me out of this house: 15 For indeed I was stolen away out of the land of the Hebrews: and here also have I done nothing that they should put me into the dungeon. 16 When the chief baker saw that the interpretation was good, he said unto Joseph, I also was in my dream, and, behold, I had three white baskets on my head: 17 And in the uppermost basket there was of all manner of bakemeats for Pharaoh; and the birds did eat them out of the basket upon my head. 18 And Joseph answered and said, This is the interpretation thereof: The three baskets are three days: 19 Yet within three days shall Pharaoh lift up thy head from off thee, and shall hang thee on a tree; and the birds shall eat thy flesh from off thee. Observe, I. The special providence of God, which filled the heads of these two prisoners with unusual dreams, such as made extraordinary impressions upon them, and carried with them evidences of a divine origin, both in one night. Note, God has immediate access to the spirits of men, which he can make serviceable to his own purposes whenever he pleases, quite beyond the intention of those concerned. To him all hearts are open, and anciently he spoke not only to his own people, but to others, in dreams, Job xxxiii. 15. Things to come were thus foretold, but very obscurely. III. Joseph's great tenderness and compassion towards them. He enquired with concern, Wherefore look you so sadly to-day? v. 7. Joseph was their keeper, and in that office he was mild. Note, It becomes us to take cognizance of the sorrows even of those that are under our check. Joseph was their companion in tribulation, he was now a prisoner with them, and had been a dreamer too. Note, Communion in sufferings helps to work compassion towards those that do suffer. Let us learn hence, 1. To concern ourselves in the sorrows and troubles of others, and to enquire into the reason of the sadness of our brethren's countenances; we should be often considering the tears of the oppressed, Eccl. iv. 1. It is some relief to those that are in trouble to be taken notice of. 2. To enquire into the causes of our own sorrow, "Wherefore do I look so sadly? Is there a reason? Is it a good reason? Is there not a reason for comfort sufficient to balance it, whatever it is? Why art thou cast down, O my soul?" IV. The dreams themselves, and the interpretation of them. That which troubled these prisoners was that being confined they could not have recourse to the diviners of Egypt who pretended to interpret dreams: There is no interpreter here in the prison, v. 8. 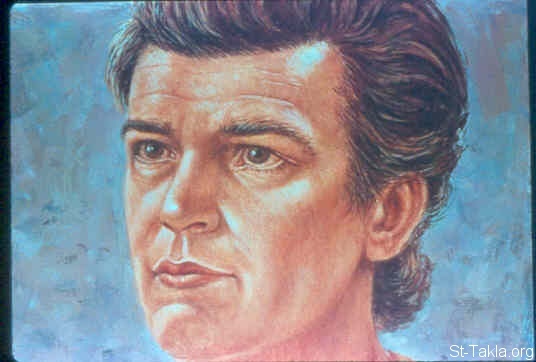 Note, There are interpreters which those that are in prison and sorrow should wish to have with them, to instruct them in the meaning and design of Providence (Elihu alludes to such, when he says, If there be an interpreter, one among a thousand, to show unto man his uprightness, Job xxxiii. 23, 24), interpreters to guide their consciences, not to satisfy their curiosity. Joseph hereupon directed them which way to look: Do not interpretations belong to God? He means the God whom he worshipped, to the knowledge of whom he endeavours hereby to lead them. Note, It is God's prerogative to foretel things to come, Isa. xlvi. 10. He must therefore have the praise of all the gifts of foresight which men have, ordinary or extraordinary. Joseph premises a caveat against his own praise, and is careful to transmit the glory to God, as Daniel, ch. ii. 30. Joseph suggests, "If interpretations belong to God, he is a free agent, and may communicate the power to whom he pleases, and therefore tell me your dreams." Now, 1. The chief butler's dream was a happy presage of his enlargement, and re-advancement, within three days; and so Joseph explained it to him, v. 12, 13. 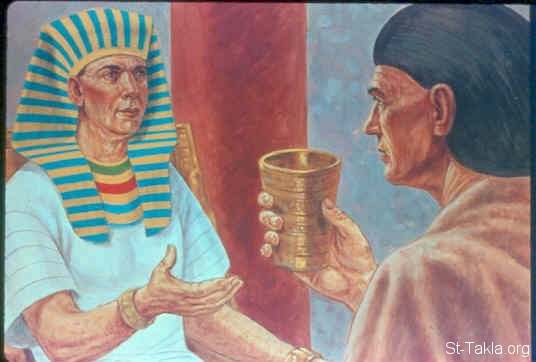 Probably it had been usual with him to press the full-ripe grapes immediately into Pharaoh's cup, the simplicity of that age not being acquainted with the modern arts of making the wine fine. Observe, Joseph foretold the chief butler's deliverance, but he did not foresee his own. He had long before dreamt of his own honour, and the obeisance which his brethren should do to him, with the remembrance of which 226 he must now support himself, without any new or fresh discoveries. The visions that are for the comfort of God's saints are for a great while to come, and relate to things that are very far off, while the foresights of others, like this recorded there, look but three days before them. 2. The chief baker's dream portended his ignominious death, v. 18, 19. The happy interpretation of the other's dream encouraged him to relate his. Thus hypocrites, when they hear good things promised to good Christians, would put in for a share, though they have no part nor lot in the matter. It was not Joseph's fault that he brought him no better tidings. Ministers are but interpreters, they cannot make the thing otherwise than it is; if therefore they deal faithfully, and their message prove unpleasing, it is not their fault. Bad dreams cannot expect a good interpretation. V. The improvement Joseph made of this opportunity to get a friend at court, v. 14, 15. He modestly bespoke the favour of the chief butler, whose preferment he foretold: But think of me when it shall be well with thee. Though the respect paid to Joseph made the prison as easy to him as a prison could be, yet none can blame him for being desirous of liberty. See here, 1. What a modest representation he makes of his own case, v. 15. He does not reflect upon his brethren that sold him; he only says, I was stolen out of the land of the Hebrews, that is, unjustly sent thence, no matter where the fault was. Nor does he reflect on the wrong done him in this imprisonment by his mistress that was his prosecutrix, and his master that was his judge; but mildly avers his own innocence: Here have I done nothing that they should put me into the dungeon. Note, When we are called to vindicate ourselves we should carefully avoid, as much as may be, speaking ill of others. Let us be content to prove ourselves innocent, and not be fond of upbraiding others with their guilt. 2. What a modest request he makes to the chief butler: "Only, think of me. Pray do me a kindness, if it lie in your way." And his particular petition is, Bring me out of this house. He does not say, "Bring me into Pharaoh's house, get me a place at court." No, he begs for enlargement, not preferment. Note, Providence sometimes designs the greatest honours for those that least covet or expect them. Here is, 1. The verifying of Joseph's interpretation of the dreams, on the very day prefixed. The chief butler and baker were both advanced, one to his office, the other to the gallows, and both at the three days' end. Note, Very great changes, both for the better and for the worse, often happen in a very little time, so sudden are the revolutions of the wheel of nature. The occasion of giving judgment severally upon their case was the solemnizing of Pharaoh's birth-day, on which, all his servants being obliged by custom to attend him, these two came to be enquired after, and the cause of their commitment looked into. The solemnizing of the birth-day of princes has been an ancient piece of respect done them; and if it be not abused, as Jeroboam's was (Hos. vii. 5), and Herod's (Mark vi. 21), is a usage innocent enough: and we may all profitably take notice of our birth-days, with thankfulness for the mercies of our birth, sorrow for the sinfulness of it, and an expectation of the day of our death as better than the day of our birth. On Pharaoh's birth-day he lifted up the head of these two prisoners, that is, arraigned and tried them (when Naboth was tried he was set on high among the people, 1 Kings xxi. 9), and he restored the chief butler, and hanged the chief baker. If the butler was innocent and the baker guilty, we must own the equity of Providence in clearing up the innocency of the innocent, and making the sin of the guilty to find him out, and you can find more about that here on st-takla.org on other commentaries and dictionary entries. If both were either equally innocent or equally guilty, it is an instance of the arbitrariness of such great princes as pride themselves in that power which Nebuchadnezzar set up for (Dan. v. 19, whom he would he slew, and whom he would he kept alive), forgetting that there is a higher than they, to whom they are accountable. 2. The disappointing of Joseph's expectation from the chief butler: He remembered not Joseph, but forgot him, v. 23. (1.) See here an instance of base ingratitude; Joseph had deserved well at his hands, had ministered to him, sympathized with him, helped him to a favourable interpretation of his dream, had recommended himself to him as an extraordinary person upon all accounts; and yet he forgot him. We must not think it strange if in this world we have hatred shown us for our love, and slights for our respects. (2.) See how apt those that are themselves at ease are to forget others in distress. Perhaps it is in allusion to this story that the prophet speaks of those that drink wine in bowls, and are not grieved for the affliction of Joseph, Amos vi. 6. Let us learn hence to cease from man. Joseph perhaps depended too much upon his interest in the chief butler, and promised himself too much from him; he learned by his disappointment to trust in 227 God only. We cannot expect too little from man nor too much from God. Some observe the resemblance between Joseph and Christ in this story. Joseph's fellow-sufferers were like the two thieves that were crucified with Christ—the one saved, the other condemned. (It is Dr. Lightfoot's remark, from Mr. Broughton.) One of these, when Joseph said to him, Remember me when it shall be well with thee, forget him; but one of those, when he said to Christ, Remember me when thou comest into thy kingdom, was not forgotten. We justly blame the chief butler's ingratitude to Joseph, yet we conduct ourselves much more disingenuously towards the Lord Jesus. Joseph had but foretold the chief butler's enlargement, but Christ wrought out ours, mediated with the King of kings for us; yet we forget him, though often reminded of him, though we have promised never to forget him: thus ill do we requite him, like foolish people and unwise.